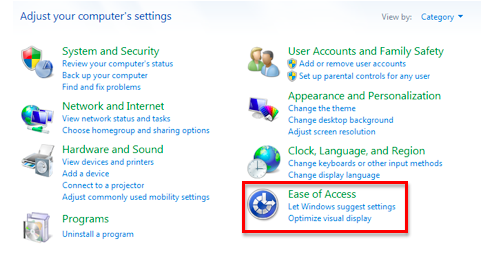 The Sticky Keys feature of Windows 7 can be helpful to people with limited dexterity who may not be able to hold down several keys at once to enter a complex keyboard shortcut such as Control, Alt, Delete. When Sticky Keys are turned on, pressing the keys in sequence rather than all at once can activate the keyboard shortcut. Keyboard shortcut: enables a keyboard shortcut (pressing the Shift key five times in a row) to turn Sticky Keys on or off. This section also includes two ways you can be notified when Sticky Keys are turned on: a warning message or a system sound. Options: allows you to lock a modifier key (such as Control or Alt) by pressing it twice in a row. You can also enable a shortcut to turn off Sticky Keys by pressing two keys at the same time. 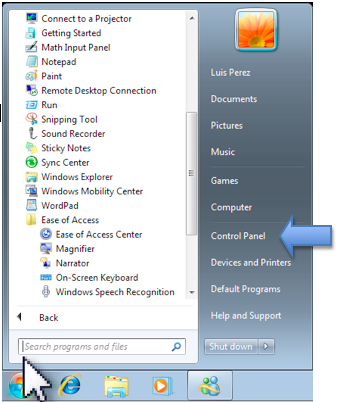 Feedback: sets up your computer to play a notification sound each time a modifier key is pressed and allows you to display the Sticky Keys icon on the taskbar when Sticky Keys are turned on.